Engine coolant or antifreeze as it is called is an integral part of the cooling system's capability used for your car's engine. This liquid is used to help prevent rust and correction among internal engine parts as well as freeze protection when the weather drops below freezing. Back in the day coolant was all one color (green) and did pretty much the same thing, nowadays each manufacturer demands a specific coolant for their car. Mercedes Bends, BMW and Volkswagen use a blue coolant while GM, Ford and Dodge use Orange coolant. Honda, Toyota and Nissan use a yellow coolant. Each of these liquids do pretty much the same thing but have slightly different chemical makeups. Every cooling system goes through hot and cold cycles as part of its normal operation. While these temperatures change they will degrade the active chemicals inside the coolant which will weaken the fluid's ability to protect the engine from rust and freezing. This is why removing the coolant and refilling it on a regular basis is mandatory when taking care of your car's engine. Some people think it is a good idea to test coolant to check for its ability to guard against rust and to see what temperature it will freeze at, these tests are notoriously wrong. Whenever you believe there might be a problem with your car's antifreeze drain and refill the system with fresh coolant. Coolant is sold by the gallon and you can purchase it at most auto parts stores and at Amazon for between $12.00 (US) and $31.00 (US) depending on type and grade. When working with coolant you should remember that it is highly toxic and should be kept away from animals. All waste coolant should be recycled at your nearest auto parts store. Never dump coolant into storm drains. 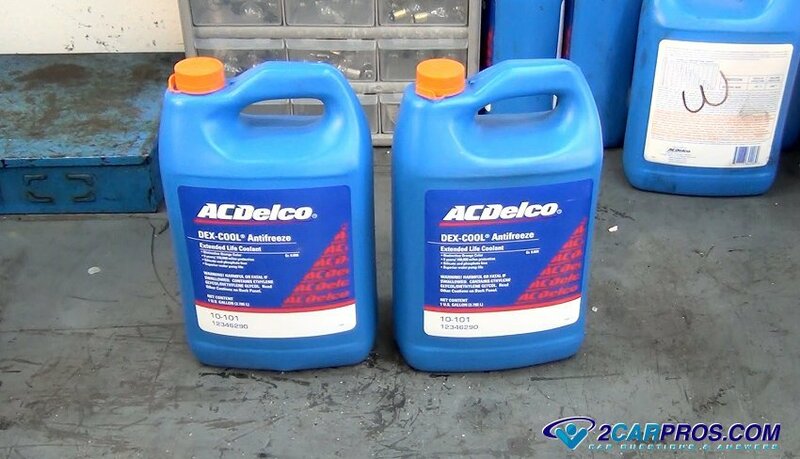 If you have any questions about coolant, please visit our forum. If you need car repair advice, please ask our community of mechanics who are happy to help. Our service is always 100% free.